This is a raw, honest, and inspirational memoir about a young man growing into his own while mentoring another. Douglas is a gay man from small-town Springfield, Oregon. As a teen, he struggles with his parents, siblings, and a community that does not accept him. It takes decades to improve his relationship with his parents, who are aging when he meets Rico through the Big Brothers Big Sisters program. Rico is a twelve-year-old Latino in foster care in Portland. Their bond is not immediately or easily formed. But over the years, as Rico moves back in with his mother, struggles with his grades, and has brushes with the law, Aaron feels compelled to continue trying to offer the right kind of support. He also reexamines his relationship with his parents, learning how to better help Rico and how to better love his own family. Douglas’s tone as a narrator varies but always feels authentic. He is often frustrated and even angry with Rico and with himself as well. He relates his reactions to Rico’s blunders honestly: he sometimes lacks patience or acts rashly, and later apologizes. This is a realistic portrayal of two imperfect human beings trying their best. He and Rico both learn and grow, and so have wisdom to impart. This work of advice-giving is also done humbly. However, Douglas’s philosophies and politics sometimes garble and dilute his central story. For example, his and Rico’s positions on abortion come up several times, and the belaboring of this point is distracting. The narrative shifts between the present time, as Rico and Douglas travel their uneven path together, and Douglas’s difficult youth. The Oregon settings include Douglas’s childhood in Springfield, his parents’ later years in Eugene, and his and Rico’s different areas of Portland. Each location is well evoked, in terms of culture (the culs-de-sac of Springfield) and physical environments (rainy Portland), and matters to the story, which would not have taken the same shape in a different part of the country. The prose of Growing Up Twice is uneven in terms of its formality and descriptiveness. It is informal during moments of frustration, thoughtfully composed for court appearances and emails with case workers, and it rushes through some scenes (such as visiting family in Kentucky) while lingering over others (such as Douglas’s memories of a childhood friend). Page layouts are sometimes puzzling, with some pages half full of text without apparent breaks in chapter or section. This unsophisticated style reinforces one of the book’s themes: Douglas is trying to do his best at helping Rico—a job he worries he’s not well suited for. In the same spirit, he wishes to tell his story in order to help others and does so with varying degrees of ease and success. 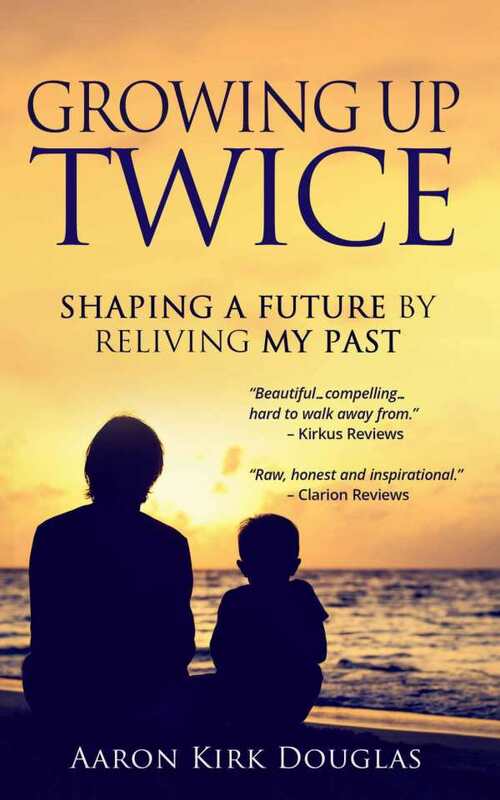 Growing Up Twice is a raw, honest, and inspirational memoir that is rich with emotional upheaval. Mentors of at-risk youth, or those working with gay and lesbian youth, will be especially interested.